This was the night that broke the camels back so to speak. Whist we suffered no losses as they could not get through the armored shelter, the game camera showed 3 raccoons. In another frame it showed a possum. 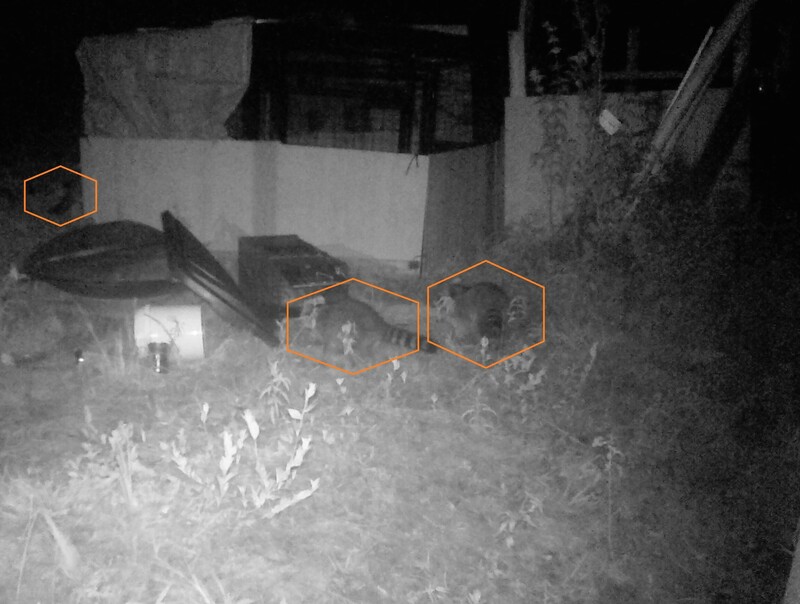 Three raccoons in one frame – how bad is that? With 2 other neighbors suffering from raccoons and chicken losses a united front was needed. On the frame a bucket is visible, this contained contained bait to make them feel (they could come and get bait freely – the can was Beefaronie, they seem to love that), and the trap was locked out to ensure they felt happy around the trap. The night after a smorgasbord of treats were put put under a zone with spotlights that could be triggered, and a clear line of sight with nothing behind – a kill zone. Next a nice comfy chair and a box of 12g shells. Further 3 traps were armed and set. Neighbors did a similar thing to cover their territory. And critters died. That was four nights ago and since that time, no bait has been touched, no triggers on the game cameras and best of all no losses of ducks, chickens or guinea fowl. Hopefully we have turned the tide of predators and can get 50 birds to market on a couple of weeks. And hopefully I can get more regular sleep.